Cape Town - Lewis Hamilton has revealed that he has begun negotiations with Mercedes over a new contract and is expecting it to be an "easy process". 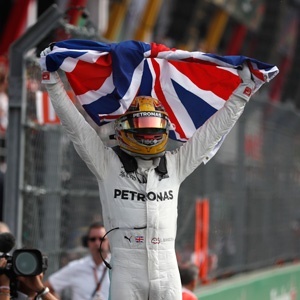 Hamilton's current deal with the Silver Arrows expires at the end of next season but, with a fourth World Championship now sealed, he is now ready to put the finishing touches on what is believed to be a new three-year deal. "It is quite an easy process for us," Hamilton said. "We already have something in place and it's really just about extending it and enhancing it, working on what more I can do for them, for the sponsors, the brand and vice versa. "But I'm pretty sure within the next month or so we will have had time to have sat down. "Now all the pressure is off, we can go and enjoy these next couple of races." Hamilton's current three-year deal is said to be worth £100m, with his new deal set to be valuated in the region of £120m.